UTAR Faculty of Science's (FSc) Centre for Biodiversity Research hosted the International Conference on Recent Trends in Humanities and Science (ICRTHS) 2018 for the first time at its Kampar Campus on 26 October 2018, enabling education ties between Malaysian and Indian institutions of higher learning to be strengthened. The one-day conference was jointly organised with Haldia Institute of Technology and Arunai International Research Foundation from India. It saw the presence of over 150 participants from 27 Indian higher learning institutions and nine Malaysian universities. Held for the first time in UTAR, the conference served as a strategic platform, enabling participants to share experiences and insights in the areas of university-university collaboration. Invited to officiate the conference was FSc's Dean Assoc Prof Dr Lim Tuck Meng, Professor from the Faculty of Medicine of Universiti Sultan Zainal Abidin, Terengganu Prof Dr U. S. Mahadeva Rao, Conference Chairman of the University of Mysore, India Dr K. Sivachithappa, Former Vice-Chancellor of Tamil Nadu Phy. Edu. Sports University Prof Dr R. Thirumalaisamy, FSc’s Centre for Biodiversity Research Chairperson Dr Wong Wey Lim, Organising Chairperson of ICRTHS 2018 D. Sinouvassane, participants, UTAR staff and students. Representing the Malaysian Organising Committee to deliver the welcome address was Dr Lim, who expressed his warm welcome to all the local and international participants at the conference. “The rapid development of knowledge and technology has precluded the model of ancient sages who claimed to know everything under the sun. 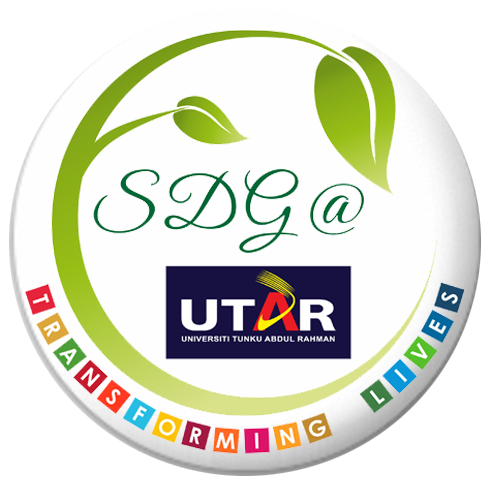 Human beings have learnt that collaboration, communication and sharing of knowledge are the essence of sustainable future development. Hence, we see more and more congregations of minds to look into the human challenges from concerted efforts involving diverse disciplines,” he said, and hoped that ICRTHS 2018 will generate strategic networking between Malaysian and Indian academics. The ceremony ensued with a souvenir presentation and group photograph session, followed by keynote addresses by two keynote speakers, namely Assoc Prof Dr Siah Poh Chuah from UTAR’s Faculty of Arts and Social Science and Assist Prof Dr Lee Poh Foong from UTAR’s Lee Kong Chian Faculty of Engineering and Science. They delivered significant keynote addresses titled “The Psychosocial Impact of Cultural Preference for Sons” and “A Quantitative Study on the Physiological Changes and Effects of Different Deep Breathing Durations on Cognitive Control” respectively. Aimed to promote research and development activities in all branches of humanities and science, and to promote scientific information interchange between researchers, developers, students and practitioners working in India and Malaysia, the conference hosted two plenary lectures and nearly 120 oral and poster presentations presented by the researchers from India and Malaysia. The conference saw the participation of around 150 local and international participants. Among the sub-themes presented throughout the conference were Medical, Health and Life Sciences, Mathematics and Information Technology, Education, Business and Social Sciences. The selected abstracts of ICRTHS 2018 will be published in the American Journal of Biopharmacology Biochemistry and Life Sciences (online ISSN:2166-126X) in the following edition.